The Nissan LEAF was named Green Car Journal’s 2019 Connected Green Car of the Year this week during a Green Car Awards press conference at The Washington Auto Show in Washington, D.C. In addition, Chevrolet’s Dynamic Fuel Management took top honors as the magazine’s 2019 Green Car Technology of the Year. The Connected Green Car of the Year award is given to the model that most significantly raises the bar in environmental performance while also connecting vehicles to our lives, other vehicles, and in some cases, transportation infrastructure. According to Green Car Journal, the LEAF has continued to evolve in its second generation with Nissan’s suite of ProPILOT connected technologies and the new LEAF PLUS that delivers 226 miles of electric driving. The Green Car Technology of the Year award recognizes the most important enabling technology that serves to decrease vehicle carbon emissions, increase efficiency, or improve environmental performance. Dynamic Fuel Management, the next-generation cylinder deactivation technology in the Chevrolet Silverado, enables a gasoline engine to run on as little as a single cylinder under certain conditions. Along with the Nissan LEAF, finalists for Connected Green Car of the Year were the Audi e-tron, Subaru Crosstrek Hybrid, Tesla Model 3 and Toyota RAV4 Hybrid. Finalists for Green Car Technology of the Year also included the Hyundai Nexo Fuel Cell Powertrain, Nissan VC-Turbo Engine, Mitsubishi PHEV Powertrain and RAM eTorque. 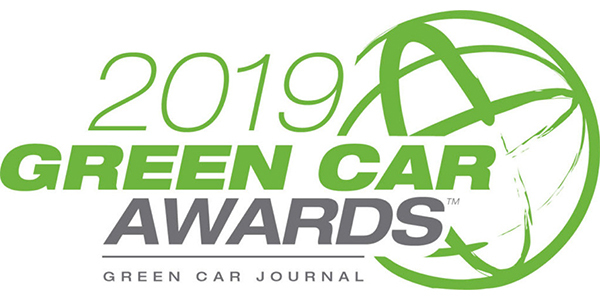 By virtue of their environmental leadership, all finalists are honored with Green Car Journal’s 2019 Product of Excellence recognition.